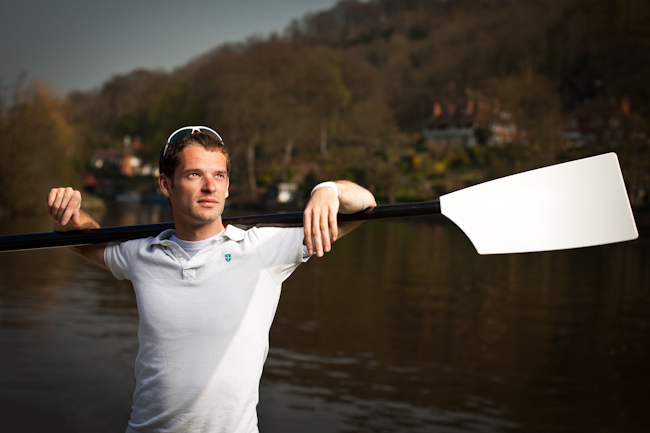 His accolades boast becoming a world rowing medallist in the lightweight men's four for both 2010 and 2011. This time however, Chris Bartley is aiming for gold at the London 2012 Olympics. Chris is another olympic hopeful who i've been privileged enough to meet and photograph as part of the "I Am..." Series. In the space of 24 hours, we arranged to meet at the Borlase Boat Club near Marlow where Chris both works and trains. As we were photographing on a launch which was in constant use, I decided to keep things simple and make one light portraits. With the club being supported by 2XU Clothing and Hudson Sculls, Chris was quick to get changed and step in front of the camera. Given the recent bout of sunny weather, I used my all time favourite setup. An Elinchrom Quadra system combined with a Deep Octa, Tiffen 77mm VariND filter and a low aperture lens. I used a number of different diffusion setups with the Deep Octa, making it one of the most versatile pieces of equipment I own. 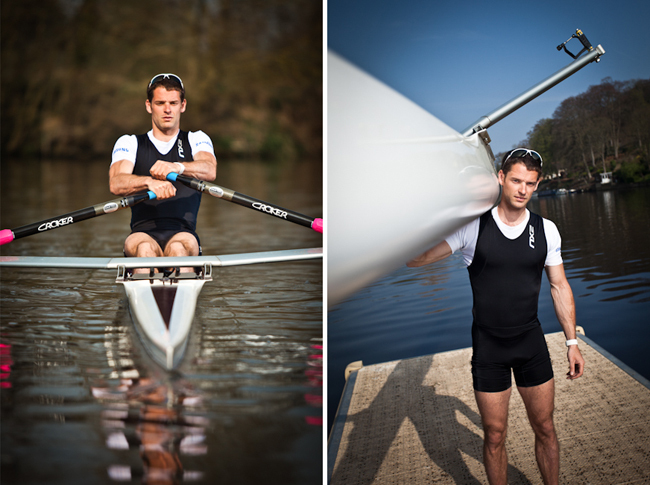 Chris is pictured in a single scull, however he is better known for competing (and achieving several gold medals) in the Lightweight Mens Four. After shooting some portraits on dry land it was time for Chris to get changed and hit the water. With a whole host of titles under his belt, many years of experience and backed by Rampant Sporting, Chris is certainly a strong contender for this years games. Best of luck Chris!